When I was in the fifth grade, I read about the Loch Ness Monster in our SRA Reading Program. I informed all my friends that when I grew up I was going to Scotland to search for the Loch Ness Monster. Prophetic boast? Because here I was some fifty years later taking a tour of Loch Ness and waiting for Nessie to appear. I had a present for her. Such a mysterious creature, I felt, would love reading my mystery-romance-suspense Bridge to Nowhere, published by Sunpenny. Just in case her reading tastes were not what I expected, I took along a typed copy of my pro-life, adventure-romance Love’s Beating Heart (electronically published) and my husband’s two time travel-adventure books The Scent of Time and The Scent of Home. Yes, I understand that Nessie lives in a 755-foot deep lake which contains more fresh water than all the lakes in England and Wales combined. But she’s been in there a long time. Surely she needs some place to get out of that cold water and I’m envisioning a cozy little cave carved into the rock sides of the lake where she can rest, read, relax – and enjoy all the non-monster pursuits that her heart desires. 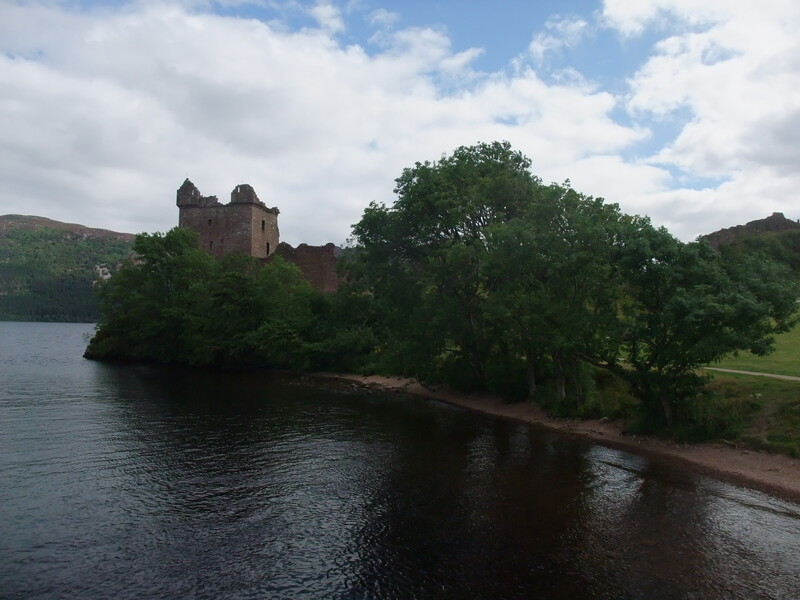 She has often been spotted around Urquhart Castle, which reportedly sits on a rock shelf with deep water underneath. Strange claims have been made of 30-foot eels frightening divers away when they searched around the castle. Not everyone believes in Nessie. She was mentioned back in the 7th Century. Legend states that Saint Columba rescued a swimmer under attack by ordering the monster away in the name of Jesus. Since then, there have been more than 1,000 sightings, the most recent of which began in 1933. The evidence for Nessie’s existence is anecdotal with disputed photos and sonar readings. Many of the sonar studies have recorded creatures of up to 30-feet long and more than five-feet wide following boats at great speed and depth. Sound recordings have monitored strange clicks, knocks and swishing noises. Famed monster hunter Jeremy Wade looked for Nessie without success, but noted that with so much evidence having been accumulated over so many years – something strange lived in Loch Ness. His best surmise was that a rare Greenland shark chased salmon into the loch from the North Sea. Back to my own personal search for the Loch Ness Monster. I can’t claim to have seen Nessie. So I didn’t get to give her a copy of Bridge to Nowhere or any of the other books. However, I did discover something that gives me hope for future searches. 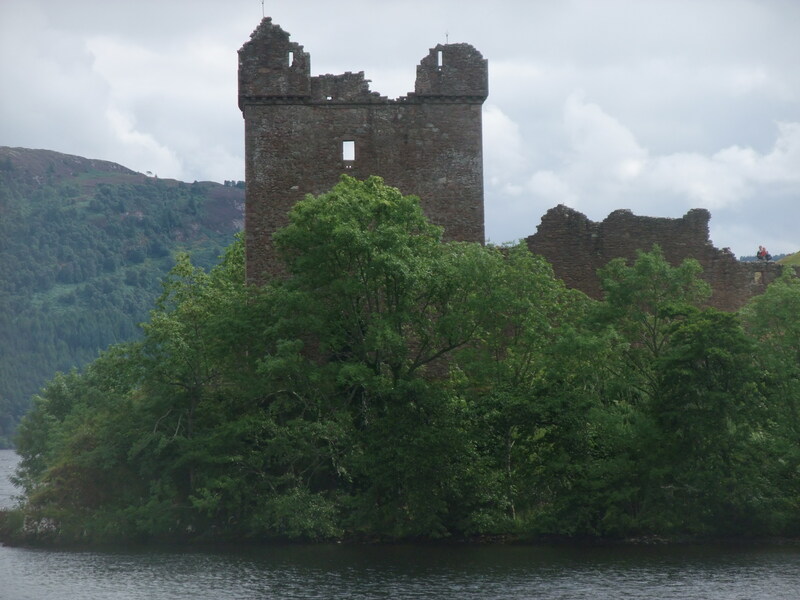 Loch Ness is so huge and deep with so much water – that she could easily be real. There is simply no reason to assume that Nessie is a hoax. So you are welcome to go online and buy my books or even private message me for a signed copy – but I’m keeping Nessie’s copy for next time I get to search for her. She doesn’t know me yet, but I feel we share a special connection. She’ll want to meet me. Some people search for God with all the inconclusive results that professional Nessie hunters have accumulated. Not only do they mock and scorn Christians, they attempt to push an atheist agenda hard enough that Christians and their faith in God will decline like the Nessie sightings of recent years. How sad. The evidence for God’s existence is all around these non-believers, pulsing with every beat of their heart and borne on the wings of the wind. Nessie might not have popped up on my monster-hunting expedition, but God’s awesome majesty reflected from sky to waves and bounced off the mountains, trees, flowers and wildlife along the shore. God made it all. It’s His perfect creation. And Nessie, if she does exist, is a mysterious creation of God. Mysteries belong to God. Perhaps that’s why I enjoy writing them so much! See you soon, Nessie! I’m keeping your books for you! Posted on August 9, 2013 by authorstephanieparkermckean •	This entry was posted in Uncategorized and tagged adventure, atheists, Christian, eels, god, Loch Ness Monster, monster hunter Jermemy Wade, mystery-romance-suspense, prolife, Saint Columba, Scotland, sonar, SRA Reading, Sunpenny Publishing, time travel, Urquhart Castle. Bookmark the permalink.